Kurt from our Houston office recently visited an upstream operation in Eagle Pass, Texas. At this operation, there was a variety of mission-critical equipment operating and collecting crucial production data points. It took Kurt a good six hours to get the facility. It was time-consuming, tedious and it cost money. 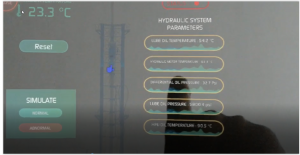 We were asking ourselves a simple question: “How can we reduce Kurt’s visits to Eagle Pass by combining the 3D immersive experience of a virtual reality (VR) tool with the deep advanced analytical capabilities of an IIoT platform?” That question led to the development of augmented reality (AR)/VR apps that gracefully compliment an IIoT system. Take, for example, a pump or a motor that commonly powers upstream operations. Our IIoT platform’s anomaly detection algorithms flag and mark cases of motor temperature overheating. These anomaly markers are laid out on a 3D model of the asset and reliability engineers, one sitting in Houston and another sitting in Oslo, can experience the unhealthy motor from the comfort of their headquarters. The sensor streams from the motor are streamed from historian tags in real time to the IIoT platform. 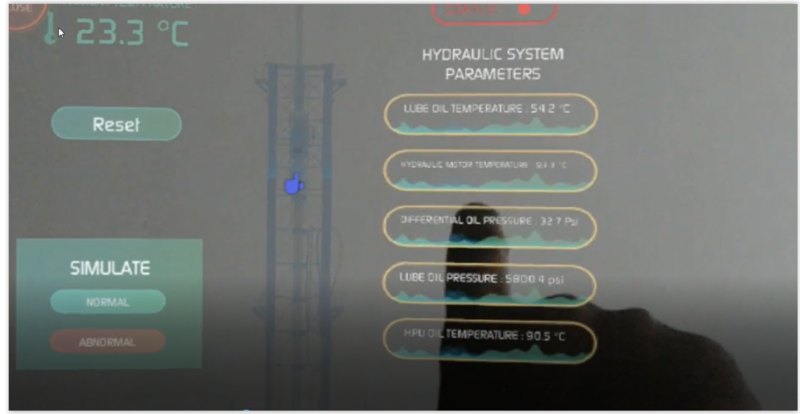 The IIoT platform is then integrated with the AR/VR app, which enables the engineers to perform multiple asset examination operations. They can get “exploded” and “zoomed in” views of the asset and can rotate the asset across the 3D axis to pinpoint what is going wrong and where it’s going wrong. In addition to experiencing the asset the reliability, engineers at headquarters can use voice and hand-based gestures to understand the sequence of events leading up to a high-value failure mode. These features are extremely useful for optimizing upstream operations, reducing trips and shaving off costs in a hyper-competitive marketplace. As Harvey Firestone said, “Capital isn’t so important in business. Experience isn’t so important. You can get both these things. What is important is ideas. If you have ideas, you have the main asset you need, and there isn’t any limit to what you can do with your business and your life.” These new ideas promise to change the way OEM and operators run their upstream operations.